Bauska is a small and charming town in southern Latvia, just 60 km from capital city Riga (and 20 km from Lithuania's border). Bauska has an excellent natural setting - it's located on the shores of two rivers, part of the city is on valley, part - on the hill. 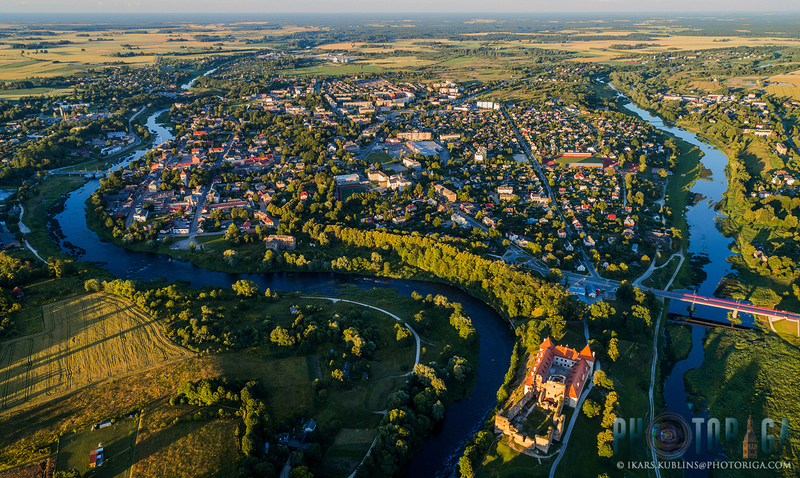 Bauska has quite large historical district, as well as beautiful nature park around Bauska castle and hillfort, where both rivers flows into each other, making the third. Bauska is easily accesible from Riga by international road Via Baltica which connects Tallinn, Riga and Kaunas and goes further to Poland. It has it's downside though - this important road goes right through the town and the incoming traffic (Bauska has heaviest transit traffic in Latvia, except Riga) means that Bauska is not as calm, silent and clean as it could and should be. There has been plans about building the ringroad but they have been postponed again and again because of the lack of funding for road infrastructure and the attitude of central government which doesn't consider Bauska ringroad a prioritary project. Currently Bauska council tries to convince the government to include the ringroad project into the same development phase with RailBaltica railway construction but the Transport ministry says the nearest time when Bauska could get it's long needed ringroad is only around 2028-2034. When you drive into Bauska from Riga side on Via Baltica, right after crossing the bridge over one of the rivers (Mēmele), the historical centre of the town reveals itself. To the left side from road (Kalna street), you can see Bauska Townhall square. The Townhall building itself is a nice historical landmark, although it's not authentic, but similarly as House of Blackheads in Riga, built as a replica. The original Townhall building didn't suffered in a war but it was started to gradually demolish and neglect already in the middle of 19th Century. Townhall building reconstruction was finished in 2011. 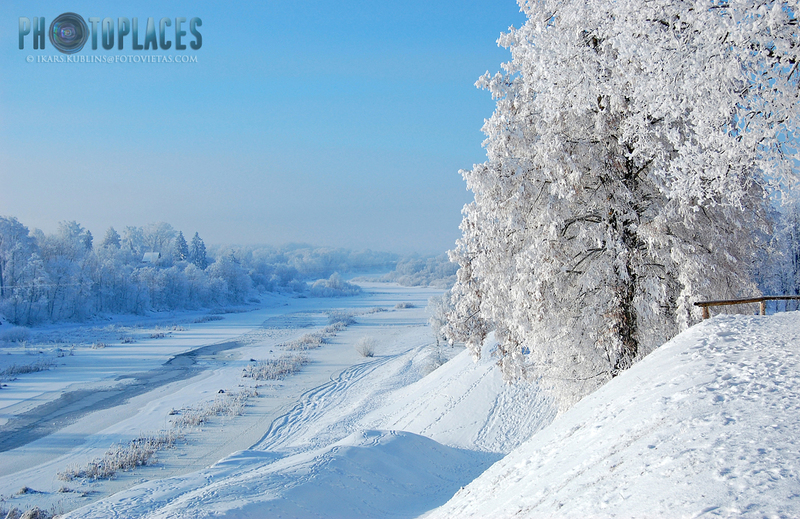 Historical district or Old Town of Bauska is layed out alongside Mēmele river, on the "valley" part of the town. 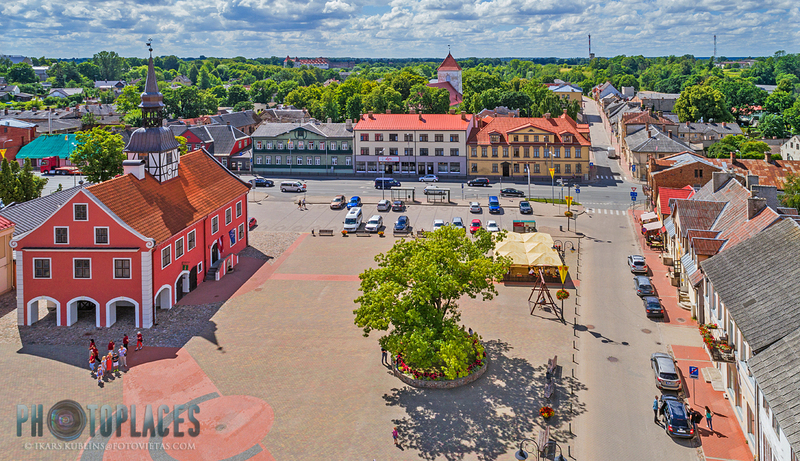 They're basically two streets - Rīgas street and Plūdoņa street - which stretches around 1 km in lenght and offers both masonry and wooden buildings from 16th to 19th Century. 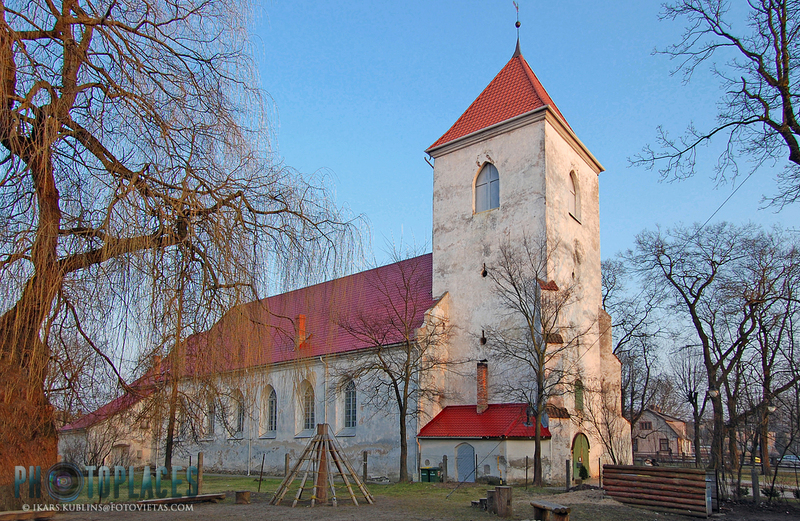 The oldest landmark building is Bauska Holy Spirit Evangelic Lutheran church which was built in 1594 in Late Gothic style. It was used by town's Baltic German population. The original building didn't have a tower which was built a bit later. 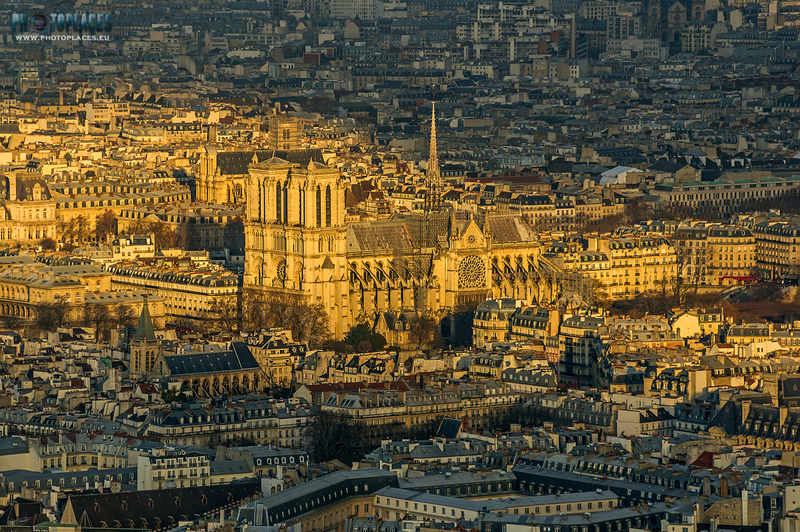 The tower which initially was a high steelpe tower was two times strucked by lightning (1799 and 1815) and thus it got it's current look with 4-sloped roof. 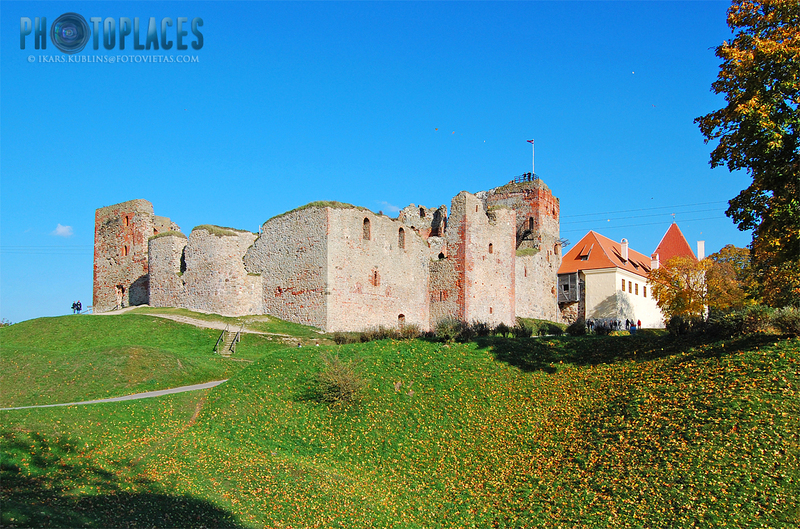 The greatest tourism asset of Bauska is Bauska castle and Bauska nature park around it. Bauska castle was originally started to built in 15th Century and construction continued till the end of the 16th century. The old section of the castle featured a great watch tower, 3.5 meter thick walls, a prison under the tower, a garrison and a drawbridge at the gates. Nowadays the castle consists of two parts - the ruins of an earlier castle and a later palace. The castle have gone through decades long renovation works which are finished now. Bauska castle museum is one of the most visited museums in Latvia - some 170 000 people visits it every year. It's just 1/3 less than seemingly much more popular Rundāle palace museum (10 km from Bauska) which is the most visited one in Latvia with around 240 000 visitors per year. Bauska castle offers also an observation tower where one can get nice views over surrounding nature park area. Bauska nature park is a beautiful nature area which starts around Bauska castle. 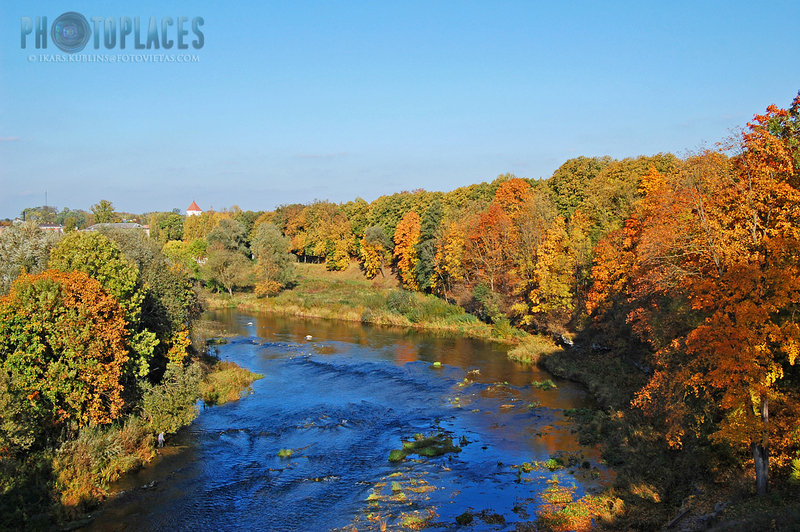 There two rivers - Mēmele and Mūsa - flows together, creating Lielupe river which later flows through Zemgale fields, Jelgava and Jūrmala towns, before entering Riga Sea Gulf. The park offers several beautiful panorama viewpoints and many paths to walk around. Bauska nature park could be the most romantic place in Latvia - there are even songs about it: "We'll flow farther like a two rivers in one...". Bauska can be reached from Riga by bus. Buses goes often - every 20 minutes on average. The trip takes 1 hour and 20 minutes. The ticket costs 3,50 EUR. Drive with a car from Riga takes about 50 minutes on A7 road. Bauska has several options to eat a tasty meal for non-expensive prices. One of it is located right next to Townhall square - "Taverna" (Rīgas street 27). 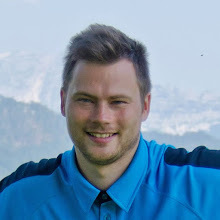 I could recommend also "Mīklas paradīze" at Dārza street 16a. Main shopping complex in Bauska is located on the hill - when driving in from Riga side, "Rimi" sign is noticeable already from the distance. There are supermarkets from both largest chains in Latvia - "Rimi" and "Maxima", as well as household and electronics supermarkets "SuperAction" and "Mājai un Dārzam", and many more smaller shops. In Bauska car parking is for free and there are many parking places in the town, also at the Townhall square. Usually there are no problems to find an empty parking spot, unless there is some festival happening in the town.